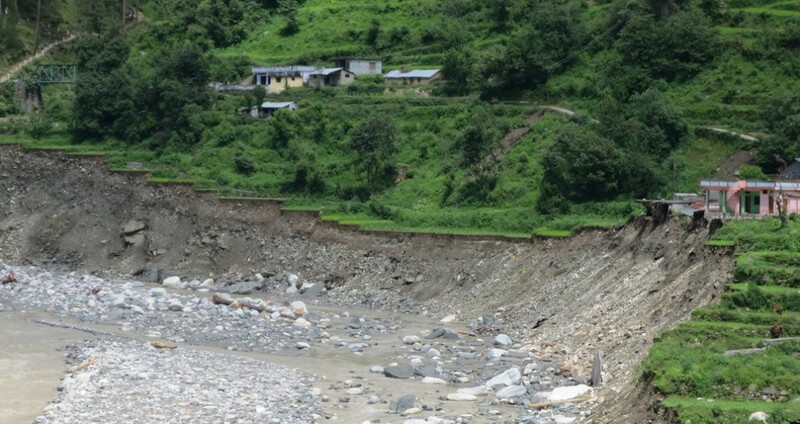 The emergency response and disaster management programmes of HCDI and its implementing partners focus on the relief and aid provided to villages and regions affected by any natural or man-made disaster, with a view to help the people affected. Why is HCDI involved in emergency response and disaster management? HCDI and its implementing partners believe that children, women, and people or the elderly who are disabled, face the greatest loss and difficulty in the face of disasters. Furthermore, HCDI also believes in providing not just immediate relief, but enhancing the coping ability of the people affected, to rise above their conditions and be more prepared for future events, thereby securing the children’s future. It is for this reason that, being an organization focused on holistic child development, HCDI places high importance on emergency response and disaster management. What are the primary aims of the ERDM Programme? What are disasters and their effects? The loss of life, personal property, source of livelihood and the potential to earn leaves entire families devastated and with almost no surety about the future. However, HCDI and its implementing partners work towards helping such people overcome the effects of disasters as well as regain a strong foothold on life while preparing them to face any future events. In cases where natural disasters strike, instant assistance is the key for successful aid. It is to fulfil this purpose that HCDI works in co-operation with its many implementing partners who have a presence in almost twenty regions across the country. When disaster strikes, volunteers from the nearest ongoing projects are diverted to the affected regions. This team is comprised of experienced officials who arrive at the site to first begin a rapid assessment of the damage caused and the type and extent of immediate support required. This includes an analysis of the area of operation and population which establishes the emergency response measures that require to be implemented. While emergency response and immediate aid remains the primary concern of HCDI and its implementing partners emergency response and disaster management programmes, the organization also undertakes additional measures to reinstate the affected people as best as possible and to prepare them for any future events. These measures fall under the Linking Relief, Rehabilitation, and Development Programme, also known as the LRRD Programme. What is the Linking Relief, Rehabilitation, and Development Programme? Prevention – While natural disasters cannot always be prevented, in many cases, measures can be taken to mitigate the extent of its effects. The prevention aspect of the LRRD Programme focuses on reducing the risk of loss of life and injury by implementing good evacuation plans, better environmental planning, and more secure designing standards. This ensures that future disasters, or even upcoming disasters in cases where timely notice is made possible, can be faced with least loss. Mitigation and risk reduction – Individuals and families are provided with training to enhance their ability to avoid unnecessary risks. They are taught to assess potential risks to family and personal health in case of a disaster and are trained on setting up required measures, or establish proper insurance, to protect themselves from these risks in the event of a disaster. Preparedness – HCDI and its implementing partners pay special attention to providing families with the skills and abilities required to mitigate the effects of any disaster that they may face. This includes assigning specific tasks to every individual member of a family such as taking care of the children and elderly. Furthermore, groups are also assigned tasks such as the construction of shelters, implementation of an emergency communication system, installation of warning devices, creation of backup lifeline services and others. Training is provided to the people to face a variety of disasters so that any disaster does not catch them unaware and losses in the event of a disaster are minimised, with handling of the disaster becoming more organised. Response – HCDI and its implementing partners focus on response following any disaster. This begins with search and rescue but quickly moves on to fulfilling the basic needs of the affected population such as food, water, shelter, clothing, medicines, counselling and so on. Many national and international organisations offer support in times of disasters; and at this point, coordination of disaster assistance is kept pivotal and attained through focused effort. Recovery – The recovery phase of the LRRD Programme begins once the immediate threat to life has been alleviated. The aim of this phase is to bring normalcy to the affected persons and region at the earliest. In order for this to happen, HCDI and its implementing partners first analyse the nature and extent of destruction and come to a conclusion regarding the work and funds required for such activity to be pursued. Following this, HCDI and its implementing partners join forces with other organisations as well as work with the relief offered by the government to bring back normalcy to the affected people’s lives. HCDI and its implementing partners have been involved in emergency response and disaster management for many years. In this duration, aid has been provided for many disasters including floods, earthquakes, droughts and more. Please click here to know more about some of the successfully completed projects under HCDI’s ERDM Programme. Disaster Response Team – HCDI believes that creating a dedicated disaster response team including a team of youth and volunteers from each ongoing project will expedite response time in the case of a disaster and will also provide more focused support. Disaster Management Cell – HCDI believes that creating a dedicated disaster management cell will allow faster relief as this team can be trained to meet disasters and can be called upon in the face of any disaster. Humanitarian Support Fund – Most relief and support that is provided in the aftermath of a disaster is based on funds that can be raised in time. This often limits the relief that can be provided to those in need. HCDI believes in establishing a dedicated Humanitarian Support Fund that is allocated to disasters as and when they arise, thereby expediting the relief provided as well as ensuring that relief is provided to the best of the ability of the team and the organisation. Networking and training – Networking with other organisations and government officials as well as providing training to volunteers and members of ongoing projects will help increase awareness of disasters, their devastating effects, the need for relief, and the increased need for cooperation and funding for this relief. HCDI aims at increasing its focus on networking and training to achieve this and make future projects under the ERDM Programme more effective. Policy amendment for the ERDM and LRRD Programmes – HCDI is focused on continuous improvement in its policy on disaster management, emergency response and relief and rehabilitation to meet the constantly evolving needs of areas affected by disasters as well as to incorporate the many strategies learned through experience in disaster management that can work to make future projects more effective.